How do I create a Daily Special? 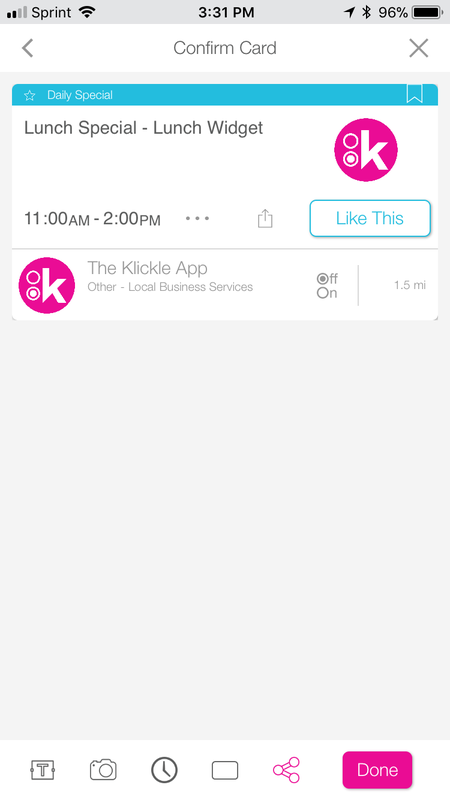 You can use the Klickle for Business Owners app to create Daily Specials for your business. 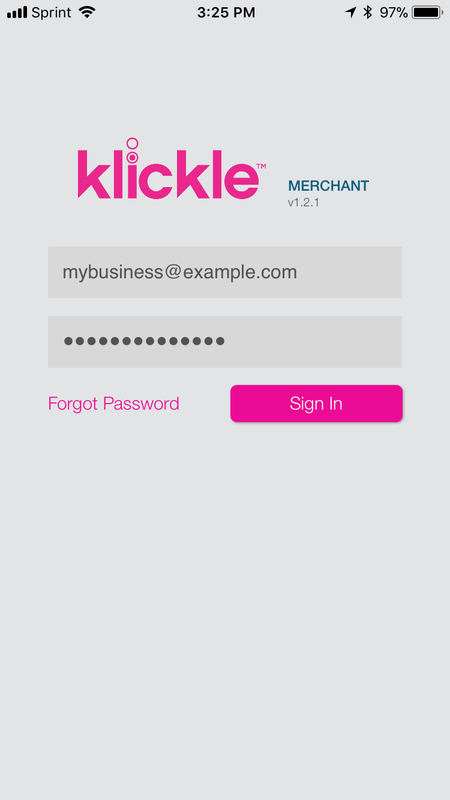 To get started first download the Klickle for Business Owners app and sign in to the app using your email address and password. 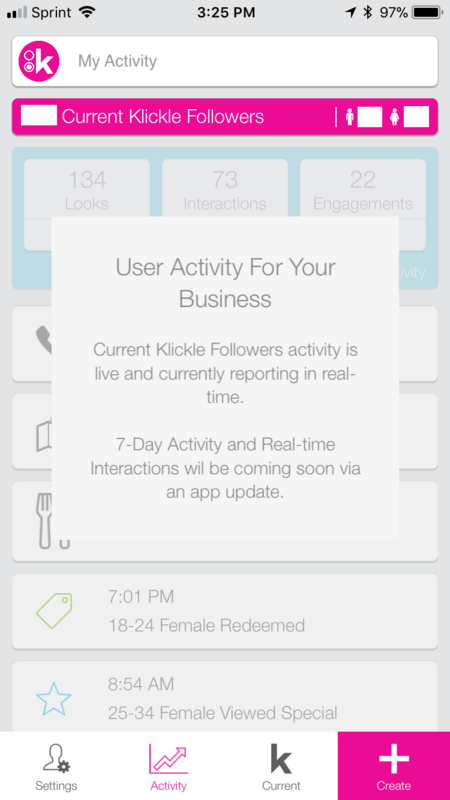 Enter a description for your daily special and any details (fine print) related to it. Select a picture to use with your Daily Special. 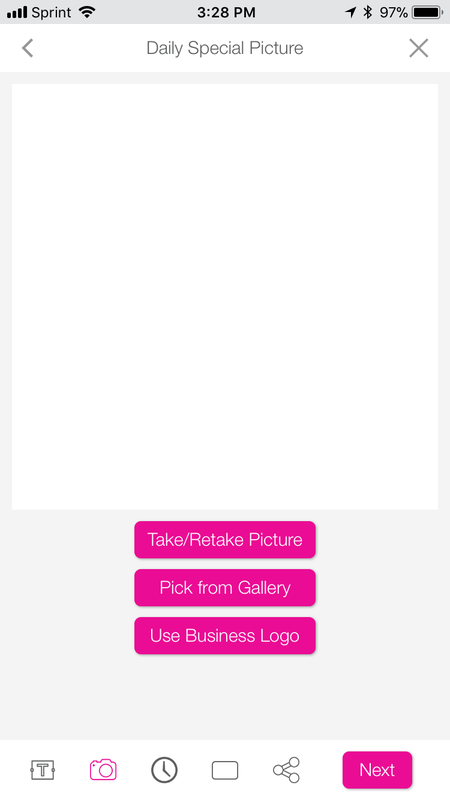 Take a picture with your camera, choose a photo from your phone's picture gallery or save time by using your already uploaded logo. 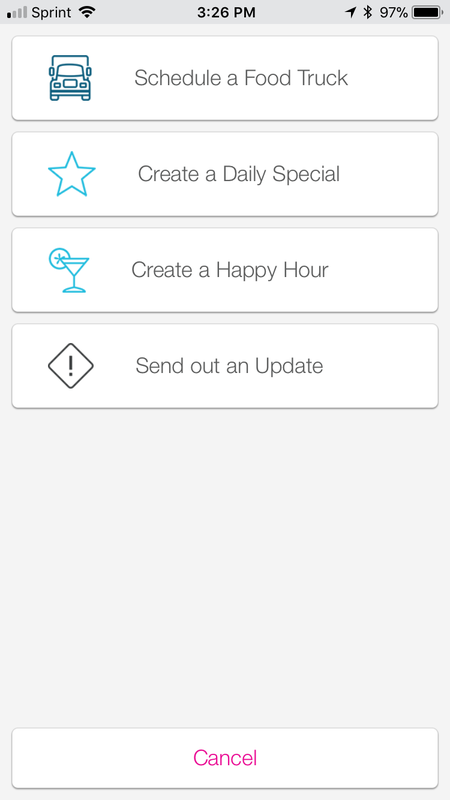 Set the availability limits of your Daily Special. 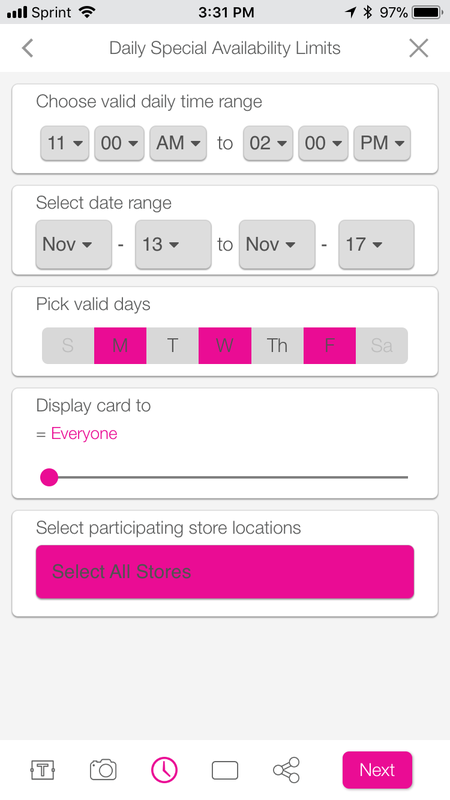 Choose the time it is valid, the date range, days of the week, audience and stores it is for. 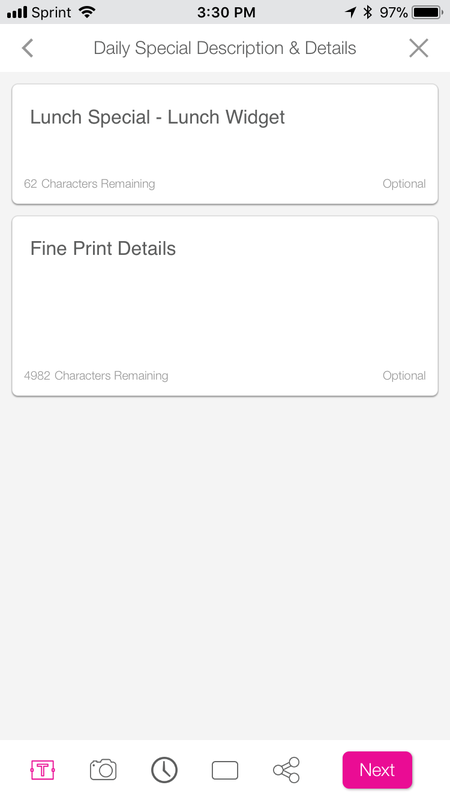 Select a standard or large enhanced card layout for your Daily Special. 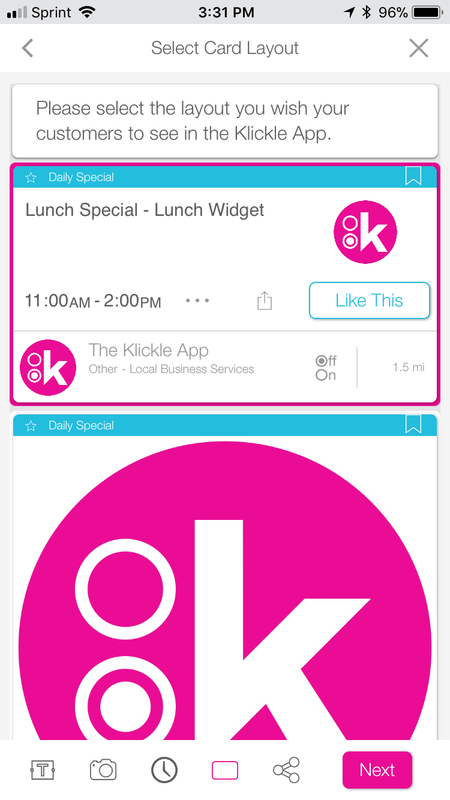 Review your Daily Special and if everything looks good press Done to post it in the Klickle App.